it’s been six months since we’ve moved to shanghai from hong kong. we’ve been busy running our restaurant, amuse, that we didn’t have time to post. but now that things have settled down a bit, we definitely want to be writing more. may 1st was labor day in china, so we’ve decided to take a long break and fly back to hong kong for a week. 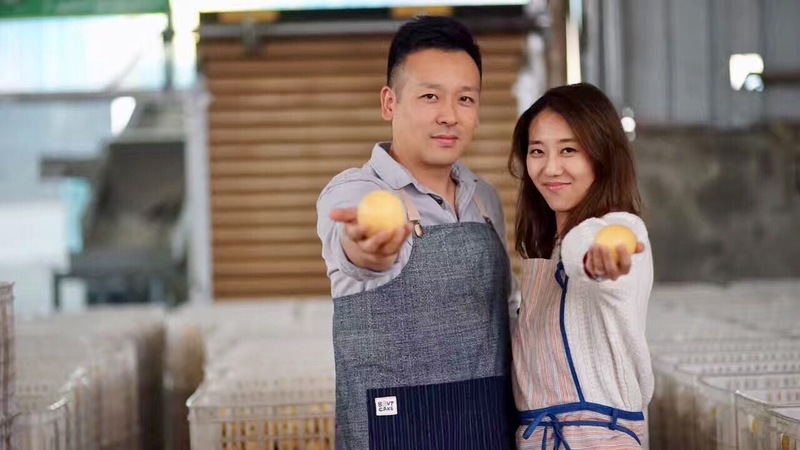 one of the reason is to see family, the other is to have a small appearance in the new show called “curiosity got the chef”. it’s hosted by chef sharwin tee, a tv chef in the philippines. 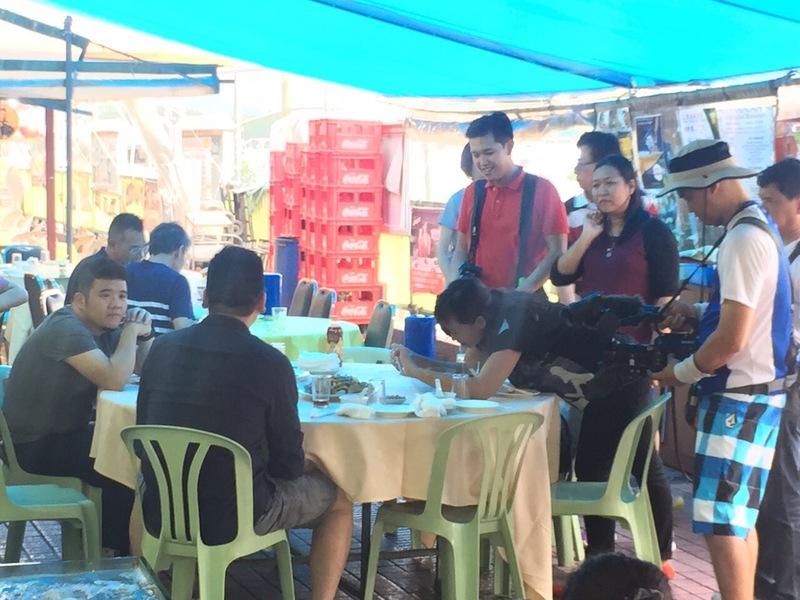 it’s a food and travel show where chef sharwin travels to different parts of southeast asia and samples the local cuisine, both traditional and modern. the producer contacted us and asked if we can host sharwin for a day and show him some traditional cantonese fare. the first thing that came to our minds was anything but wonton noodles and dim sum, that’s boring. people have seen that a million times. we wanna show them something unique, something that viewers rarely get to see. so we’ve decided to take the chef off the busy streets of central hong kong and into the quiet and relaxing area known as sai kung. 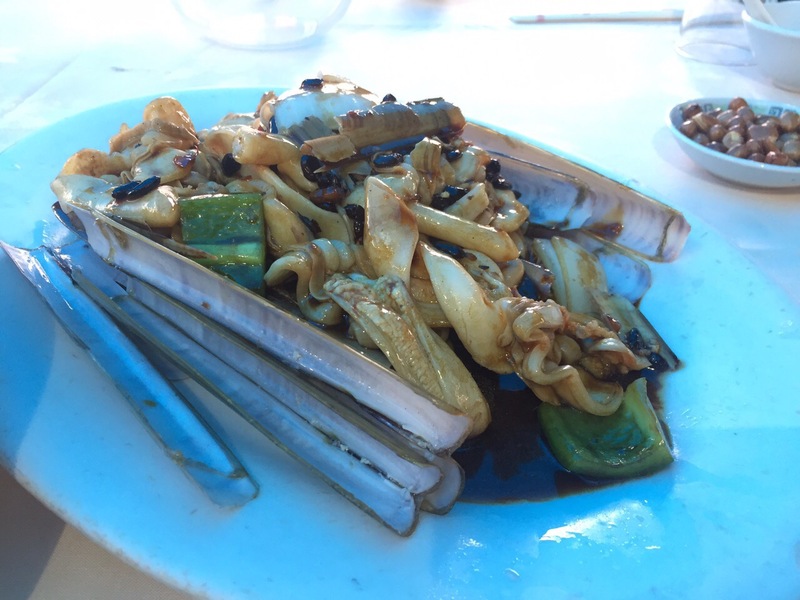 whenever we venture into sai kung, there’s one thing that we always eat… seafood! it’s so fresh that you literally buy it off the boat. luckily, priscilla’s dad is very chummy with one of the local fishermen, so he definitely gave us the cream of the crop. we picked out a huge 10 pound lobster, razor clams, mantis prawns, geoduck, sea snails, and freshly shucked scallops on the half shell. after purchasing an enormous amount of live seafood, we walked into a local restaurant and had the chef immediately cook everything for us. now that’s what i call food from boat to table. with cantonese cuisine, seafood is prepared in a minimal fashion; very little fuss and definitely nothing too complicated. its simple and clean flavors highlight the sweetness and freshness of the seafood. typical cooking methods include steaming, blanching, or quickly tossing in a wok. 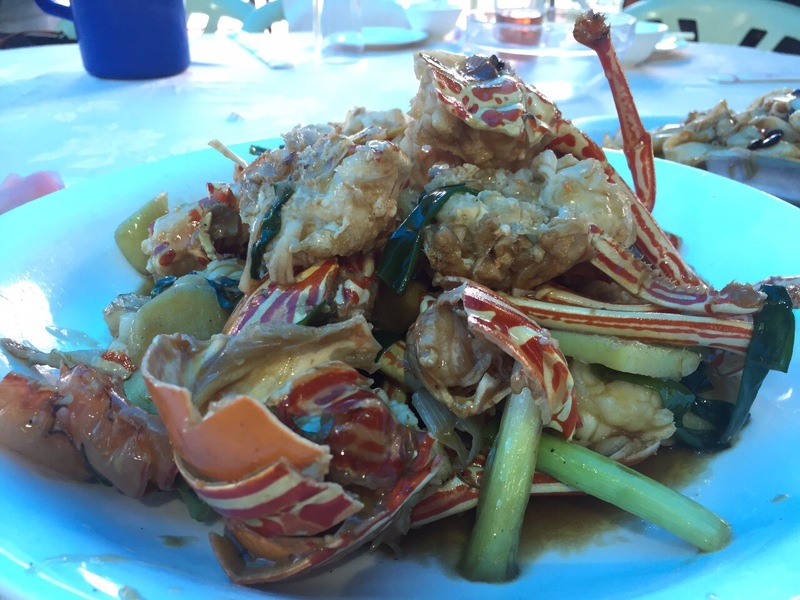 you’ll never find heavy or creamy sauces in cantonese seafood. the film crew anxiously awaiting to eat! after a coma-inducing lunch, we finished the day with a little hong kong style treat… pineapple bun and milk tea. if you ever venture into sai kung, we highly recommend sai kung bakery for its hot, fresh-out-of-the-oven pineapple bun. it’s probably the best in all of hong kong. 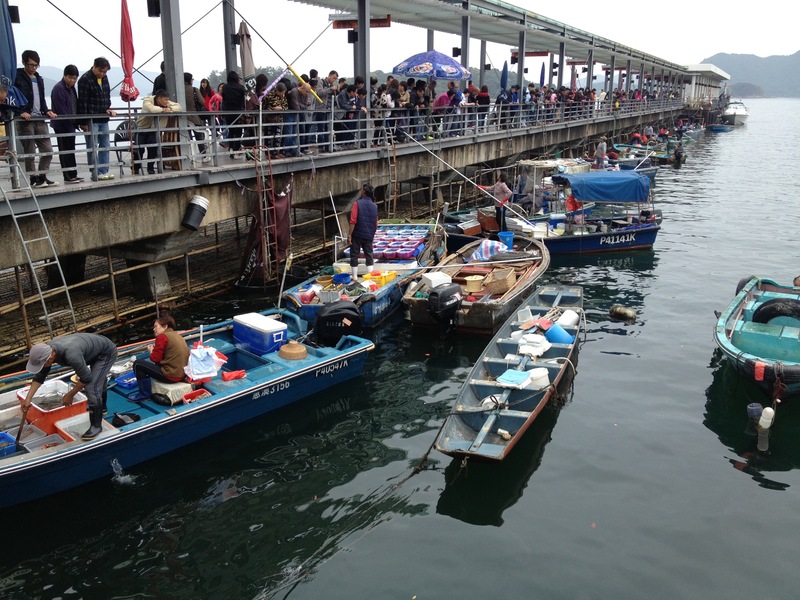 wow… buying seafood straight from the local fishermen; that’s awesome! what a great experience; thanks for sharing this! 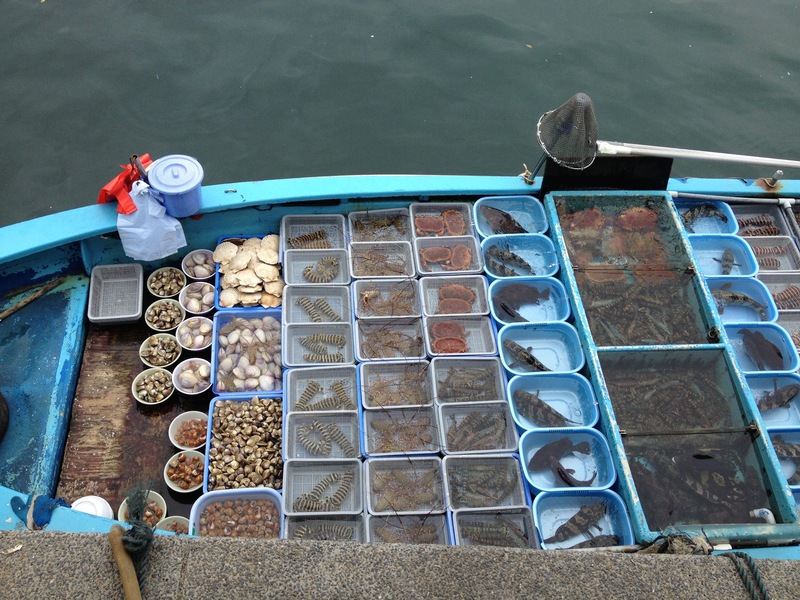 next time i’m in HK i definitely want to visit sai kung.